The Asgard 19.6 TC Tent from Nordisk is a tipi style tent that offers generous space for group camping. 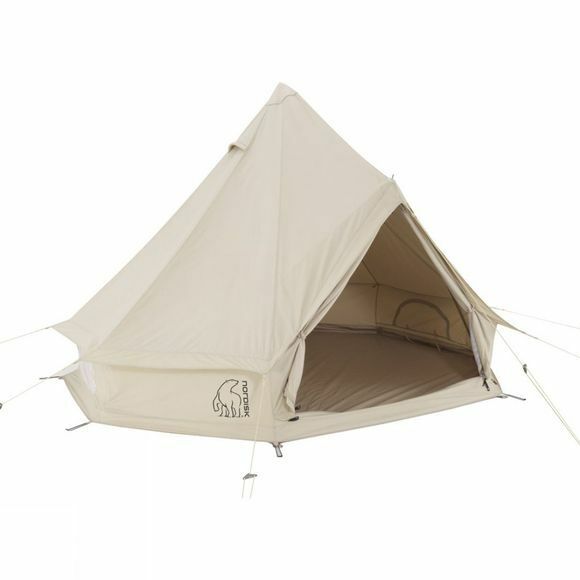 It can sleep upto 10 people and attachment points can be used to hang gear to dry out if necessary. There are several ventilation options thanks to the mesh windows and the large mesh door while the Technical Cotton fabric will keep the weather on the outside while maintaining a comfortable environment on the inside. It is easy to put up on a wide range of surfaces while the V pegs have an added hole for extra strength when placed in sandy ground conditions. 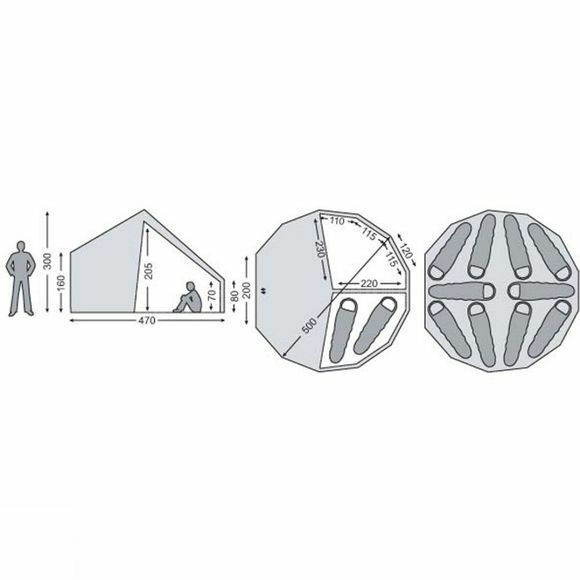 A compatible zip-in floor is available (sold separately) for added luxury while compatible inner cabins (sold separately) can add some much need privacy when camping in smaller groups.